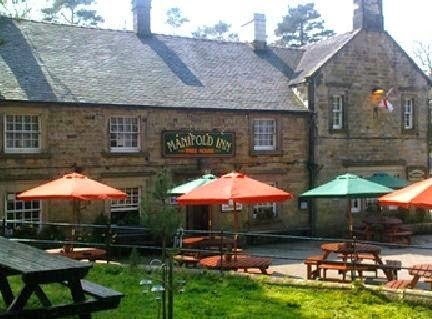 The Manifold Inn is a delightful 200 year old coaching inn and restaurant run by dedicated staff, under whose friendly care offers warm hospitality and quality home cooked food. Guest accommodation is either in the converted old blacksmith shop in the secluded rear courtyard, in our holiday cottages, or at the Inn. The mellow stone inn is positioned within its own grounds making it a breathtaking venue for functions and fairs. Nestling on the banks of the Manifold River, opposite The Old Toll House which used to serve the turnpike and river ford, this beautiful listed building is positioned on the intersection of a popular walking route alongside the Tissington Trail amongst the famous Derbyshire hills and some of England's most natural and unspoilt scenery. 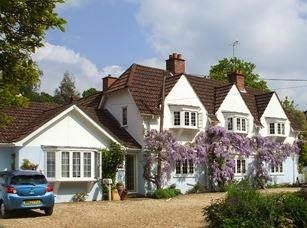 Wayside Cottage, a wysteria-covered Edwardian cottage in the New Forest village of Burley. Ponies, Donkeys and even Cattle wander down the streets while the loudest sound is the bird song in the trees. We have created the perfect haven for a relaxing weekend, or a longer stay. There are six rooms to let on a bed and breakfast basis. 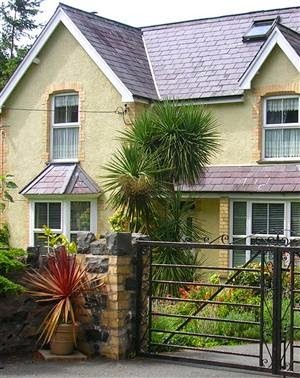 Nestled between the Menai Straits and the Snowdonia mountains, Y Gelli B&B based in the village of Llanfairfechan North Wales, is a family run Bed and Breakfast guest house with three modern en-suite bedrooms available. Conveniently situated just off the A55 between Bangor and Conwy, (just 45mins from Chester and Holyhead), Llanfairfechan is the perfect base to explore North Wales and the stunning surrounding Eryri National Park coastal and mountain scenery. 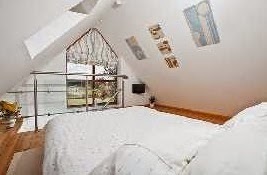 Y Gelli is a family run guest house, owned and run by experienced husband and wife team, Annwen and Arwel Owen, who have welcomed guests from all over the world for over 30 years. So if you are visiting friends or family, Bangor University, on business or on holiday, Y Gelli B&B is the perfect place to stay in North Wales. 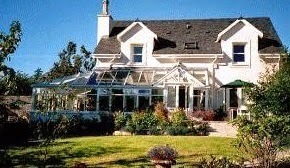 A warm welcome awaits you at The Hermitage a high quality 3 star bed and breakfast. Being a beautiful 1920's Art's and craft's house. 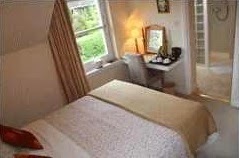 All rooms are tastefully decorated and furnished in keeping with the character of the house. Bedrooms all have beautiful new en suite shower rooms or private bath/shower room. 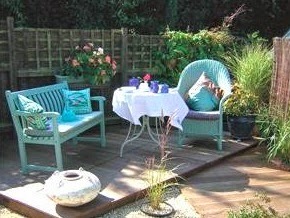 Relax and unwind in our beautiful home and garden. 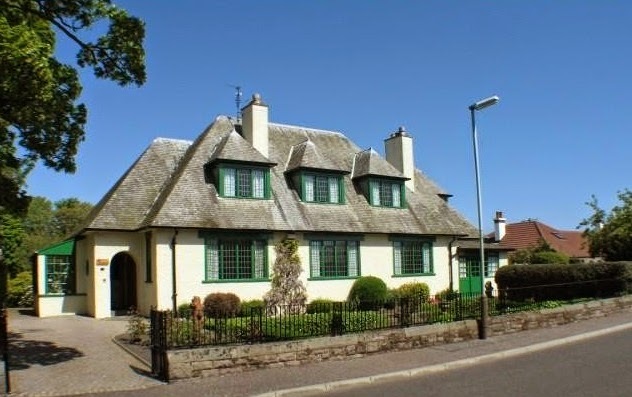 Situated centrally; near Montrose beach and golf courses, shops and Montrose train station; yet in a very quiet residential area of the lovely coastal town of Montrose. Full Scottish breakfast served using locally sourced produce. Homemade preserves and traditional Scottish porridge are always a favourite. Welcome to Magdalene Guest House Four Star Gold Award Accommodation. 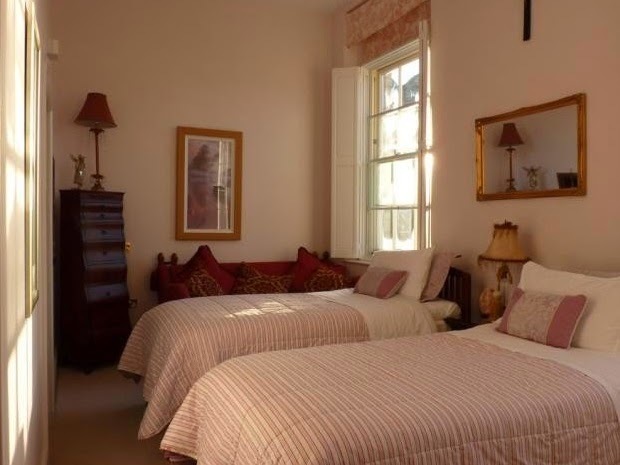 Stay in our spacious family run period home which is Grade II listed and once formed part of the St. Louis Convent which has many historical connections with the town of Glastonbury. Its unique location opposite Glastonbury Abbey overlooking the Abbey grounds is only minutes from the hustle and bustle of the High Street. Glastonbury Tor is a thirty to forty minute walk and Chalice Well Gardens a twenty five minute walk. The Cathedral City of Wells, Clarks Shopping Village and the Royal Bath and West Showground are a short drive away. Cheddar Gorge, Bath, the coast and Bristol Airport are all within easy distance. We provide a high standard of luxurious spacious accommodation. 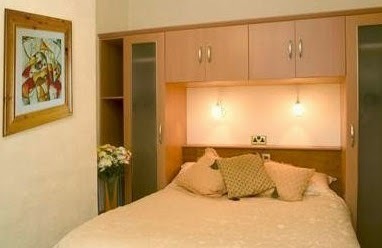 The bedrooms are furnished to a very high standard and all are en-suite. All beds have memory foam mattresses or toppers. Some parking may be available in the private car park to the rear of the building. All produce used in our extensive breakfast menu is locally sourced. We have a separate refrigerator for non-meat items. Our B&B accommodation is a self contained annexe to the main building with a private entrance and a parking space immediately outside the door. It has a bed/sitting room furnished to a high standard with King size bed which can be converted to twin beds, comfortable chairs and TV Also provided are an ironing board, steam iron, hair dryer and trouser press. 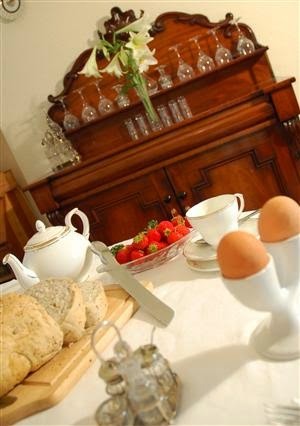 Luton Guest House has an attractive breakfast room with fridge and tea and coffee making facilities. Finally there is a shower room with a large shower giving a copious supply of hot water. Within a radius of 10 miles you have access to horse riding, flying, gliding and off road vehicle instruction, golfing, fishing and quad biking. The National Trust properties of Killerton House and Knightshayes with their impressive gardens are not far away and the coast towns of Sidmouth, Seaton and Beer are within easy reach. 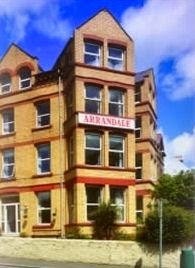 Arrandale Hotel in the Isle of Man is situated halfway between the Promenade and the TT Grandstand, the century old Arrandale Hotel is set in a quiet residential square that has changed little over the years. Enjoy the personal and friendly touch of a family run hotel. 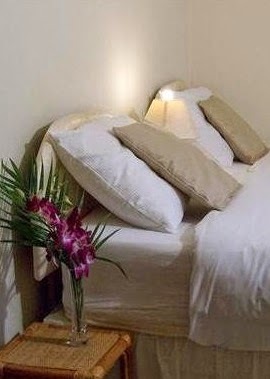 Our 18 guest bedrooms are tastefully decorated and comfortably furnished. 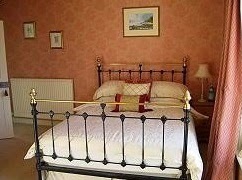 All rooms are ensuite, with colour TV, alarm clock radio, tea and coffee making facilities and centrally heated. Whether you are here for business or pleasure, you can relax and make new friends in our residents bar where light snacks and meals are available throughout the evening. The Villa Marina, Douglas Beach and Promenade and Nobels Park with sports facilities and kids play area are just around the corner. Restaurants, bars, casino and theatres are just a few minutes walk away. Set in the heart of Helensburgh's leafy conservation area, Balmillig House Bed & Breakfast is conveniently close to Loch Lomond and the Trossachs National Park. A completely smoke free house with modern facilities, Balmillig offers underfloor heating, excellent spacious showers and comfortable beds in a mixture of twin, double and superking bedded rooms. Free Wi-Fi internet access is available for those with laptops. All rooms have TV, iPad, alarm radio, DVD player and a hairdryer. Balmillig is within easy walking distance of bus and train services, seafront, park, shops and restaurants. We have a large file with menus for most local restaurants. After a long day travelling, sightseeing, walking, wildlife spotting, golfing or shopping, come home to a relaxing tea or coffee among the greenery of Balmillig's comfortable conservatory. Our 4 star quality award shows we know how to help you enjoy all that Helensburgh and this superb area has to offer. Balmillig is a friendly relaxing home and we're sure you'll enjoy sharing it with us. 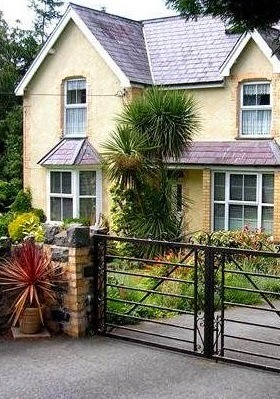 Nestled between the Menai Straits and the Snowdonia mountains, Y Gelli B&B based in the village of Llanfairfechan North Wales, is a family run Bed and Breakfast guest house. Set in over an acre of beautifully landscaped, mature gardens, located just on the fringe of the village, it offers a quiet and tranquil hideaway from the hustle and bustle of the village of Llanfairfechan. Y Gelli B&B has ample convenient secure off road parking, so if your walking or driving it’s the place to book for a comfortable, hassle free holiday. 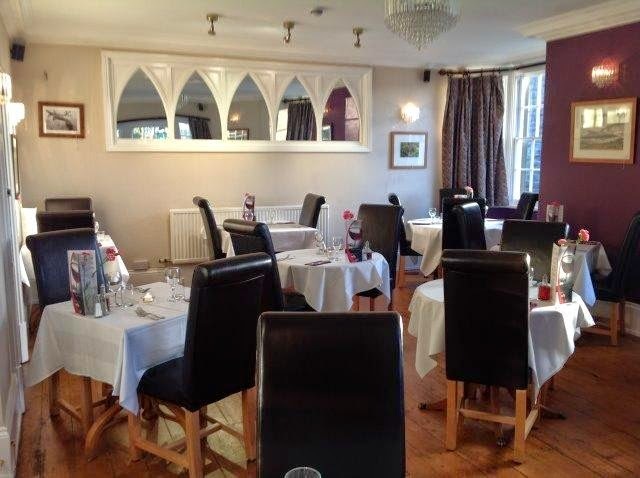 We do not currently offer evening meals however there are a variety of eating facilities on offer locally in the village, including a restaurant, pub grub, cafes, take-away and sandwich shops all offering good quality, reasonably priced food. Good food, a comfortable bed and a leisure centre can be found in many hotels in Ireland, but it is unusual to find them in a guest house. 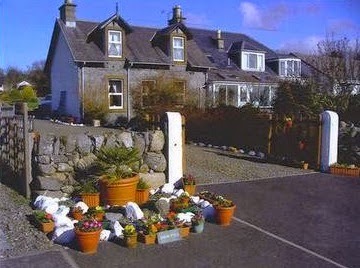 In 2012 Lonely Plant awarded Harbour House one of the top three places to stay in Co. Kerry. Harbour Guest House is family run and has 15 individually styled bed rooms all en-suite Its own indoor heated swimming pool, gym, Sauna, two spacious lounges, two lecture rooms, drying facilities, bar and restaurant, Its Islands Seafood Restaurant is famous for its fresh seafood dishes and its panoramic views of the breath-taking scenery of the Maharees Islands. The leisure centre has a well equipped gym, indoor heated swimming pool and sauna. Harbour Guest House and Leisure Centre on the Dingle Peninsula is superbly located at the head of the Maharees isthmus, which is situated to the north of the village of Castlegregory and half way between Tralee and Dingle in the South West corner of Ireland. The Maharees set among the magical beauty of mountains, lakes and sea, is renowned for its Blue Flag sandy beaches, clear water, flora, fauna, peace and beauty which are removed from the hustle and bustle of urban life and everything associated with it. The Maples Hotel is located next to the waterfront in the little village of Hythe. It is very conveniently situated for visits to the New Forest, Beaulieu, Exbury and Southampton Docks, which are reached by the Hythe Ferry after a ride on the historic Hythe Pier Train, the oldest pier train in the world! 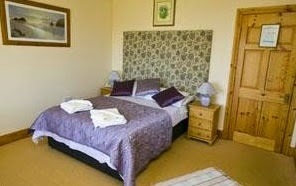 The Maples Hotel offers a choice of double, triple, single and family rooms, most with en-suite facilities. The comfortable bed and breakfast rooms have tea and coffee making facilities, a television and wireless internet access. There is plenty of parking, either on site, or in the car park opposite. The Maples Hotel is famous for the magnificence of its breakfasts. The choice includes a traditional English breakfast, with a large variety of fruits, yogurts, cereals and a wide selection of jams and marmalades. Most produce is locally sourced and vegetarian breakfasts can be provided if preferred. Buttington Country House is a superb detached holiday family house of character, a former vicarage, occupying a lovely position adjoining beautiful open countryside. This country house offers quality bed and breakfast accommodation, and is set within over an acre of ground, and enjoys a view of Powis Castle. 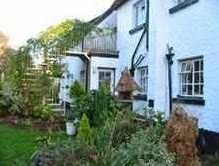 Just 2 miles from Welshpool this bed and breakfast is an ideal base for exploring Mid Wales, Shropshire, and the Welsh Borders. 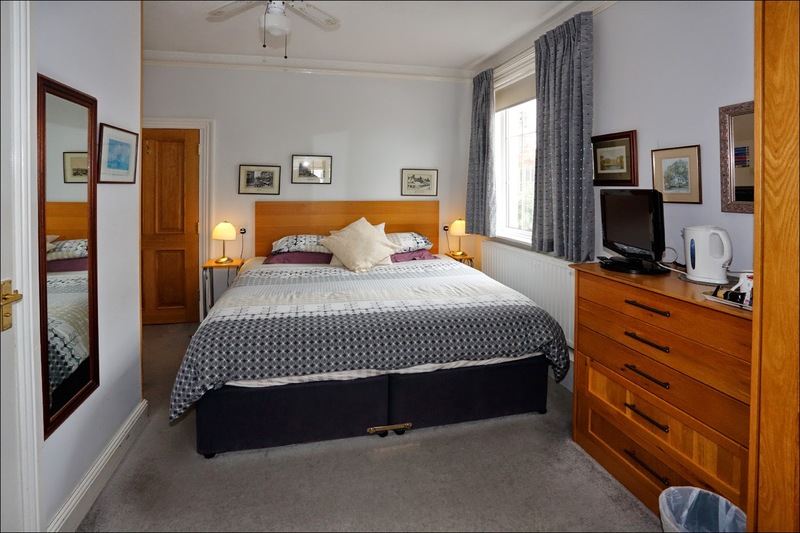 The rooms are well proportioned, and elegantly furnished whilst retaining a stylish atmosphere that is sympathetic with the history of the house. 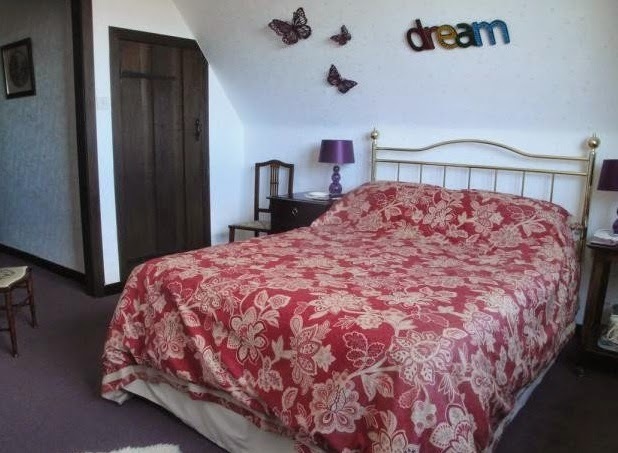 Set in the pretty Borderland village of Buttington near Welshpool, this is a very special place to stay with many places of interest within easy reach. The guest bedrooms complete with hand-picked furniture, including Louis XIV-style and Victorian brass bedsteads, have immaculately fitted en-suite bathrooms replete with modern accessories and top quality toiletries. Convenient for Shrewsbury, Powis Castle and the Welsh Borders, this elegant period residence has lovely views of the Severn Valley and stands adjacent to the Offa's Dyke path which passes within yards of the garden. This accommodation is convenient for people visiting the Welshpool Livestock Market. The secluded position with extensive rural views offers a private, luxury retreat if you are looking to get away from it all – or a ‘home from home’ if you are traveling on business. It is a great base for exploring Suffolk. With its own front door, drive and ample secure parking it’s more than just a B & B. The fridge will be well stocked with breakfast and you can enjoy it at your leisure. Timing is up to you. You are free to enjoy your stay in privacy. We are happy to help whenever we can and guarantee a friendly welcome and relaxing stay. Self contained luxury loft apartment, relaxing and peaceful, private entrance, secluded position with rural views. The property has its own drive way and ample secure parking area with space for bike/boat/car trailers. 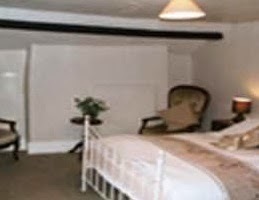 Guests are assured of a very warm welcome at the Guiting Guest House which is a delightful and tastefully restored 16th Century Cotswold stone former farmhouse with all modernised facilities. Everywhere there are exposed beams, inglenook fireplaces, and polished solid pine floors from the Wychwood Forest. The open fire creates a welcoming atmosphere in the colder months with a Cotswold garden in summer. 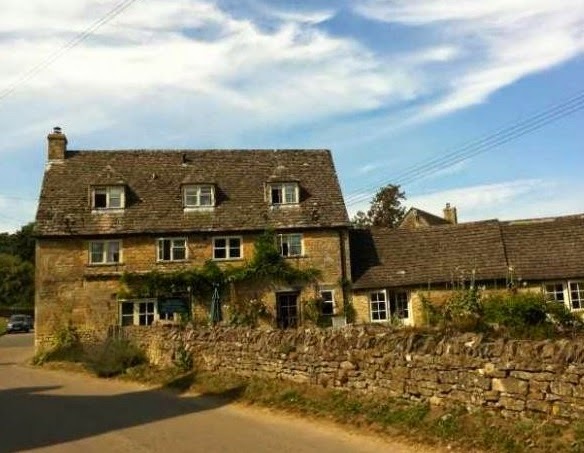 Guiting Power itself is a quintessential Cotswold village situated in the Heart of England, between Winchcombe and Stow on the Wold, and just 12 miles away from Cheltenham. It has an ancient Stone Cross on the village Green, mossy roofs, roses and wisteria clambering up the mellow walls, much of it just the same as four centuries ago. It is also a peaceful but working conservation village right in the centre of the Cotswolds. There is lots to do in and around Guiting Power. There are numerous walks and bridle paths varying in length from 1 hour to 24, a number of interesting national trust properties, an 18 hole golf course near by, the Gloucestershire Warwickshire Railway, and the Cotswold's Farm Park made famous by the BBC's Countryfile programme with its many rare breeds of animal making it a favourite destination of families. We have all the necessary maps for guests to borrow and of course we are very happy to offer any advice or assistance that may be required, even to the extent of collecting weary guests who have overstretched their endurance. 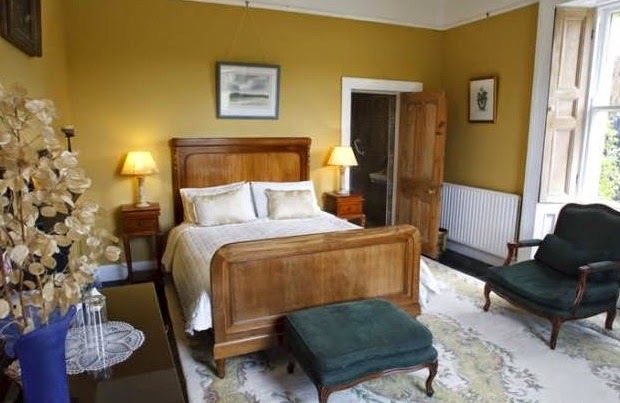 Ardmore Country House Bed and Breakfast is a delightful period guesthouse. Here you can relax and get away from all you cares. Savour the open turf fires, the antique furnishings, the good home cooking (delicious homemade Irish Soda bread, scones and jams) and friendly, relaxed atmosphere, of this charming country home. 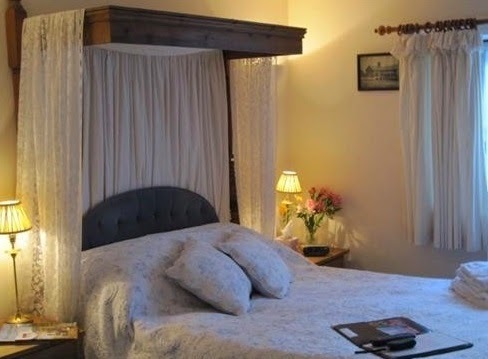 At Ardmore Country House Bed and Breakfast all our bedrooms are individually decorated to a very high standard creating a relaxing cosy atmosphere. We are pet friendly and we have a heated kennel on site. Kinnitty could be said to be the crossroads of Ireland, midway between Dublin in the east, and Galway in the west coast, Belfast in the north and Cork in the south. Kinnitty village has a Castle Hotel - Kinnitty Castle Hotel, two quaint pubs-Giltraps and The Slieve Bloom Bar, 2 village shops, 2 churches and a primary school. 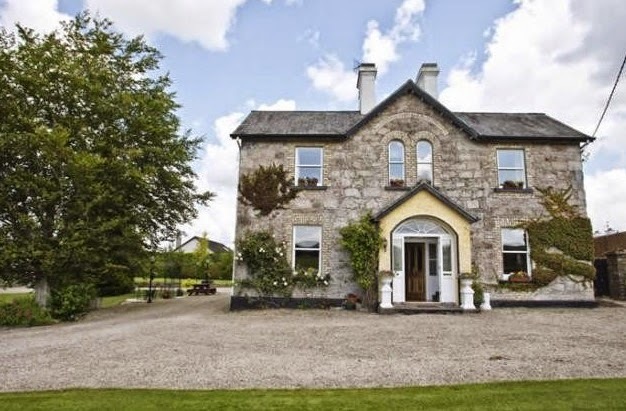 Ardmore Country House is located on the edge of the village with wonderful views onto the magical Slieve Bloom Mountains. Kinnity nestles at the foot of Knocknamann on the western slopes of the Slieve Bloom Mountains. Knocknamann is the site where the Festival of Bealtaine was held in pre- Christian times. The Slieveblooms are steeped in history and folklore, from megalithic times though Ireland's golden era of Saints & Scholars to more modern history of settlement and conflict of the Ely O'Carroll. A warm welcome and relaxed atmosphere awaits at our family run, realistically priced guest house. 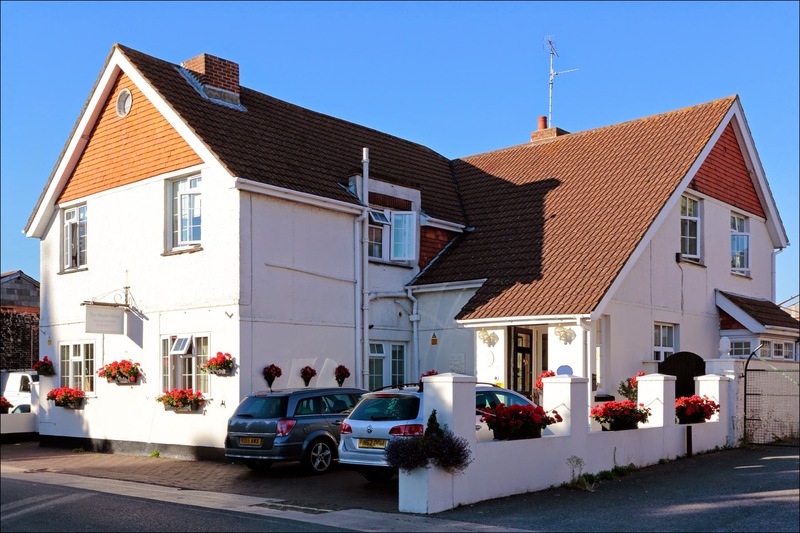 Situated just 200 yards from the sea and the lovely Marine Park Gardens, convenient for shops, post office and main bus routes. Single, Double, Twin and Family rooms + twin bedded bungalow. Freeview colour TV in ALL rooms. 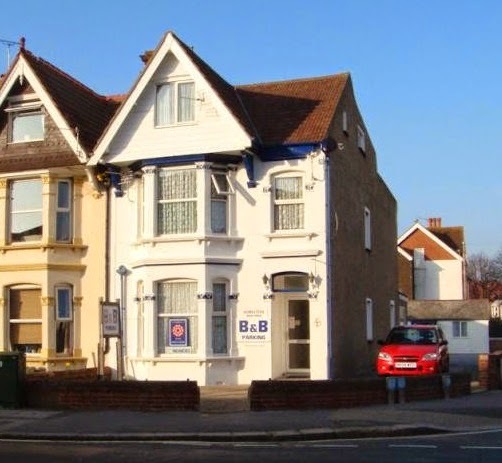 Bognor Regis is the perfect location to visit numerous places of interest all easily accessible. The Southern Cross was originally a Devonshire Long House, standing as it has for centuries within it's own wooded grounds. Though recently refurbished to provide modern facilities for the comfort of our guests, it retains all it's olde world charm. Step back in time as you enter the enchanting, walled, country garden, where you may dine at your leisure from bone china tableware, among tall scented flowers, with a backcloth of stately poplar, eucalyptus, maple and spruce. Relax in the guest lounge, quietly read, watch a film, play games - all provided. 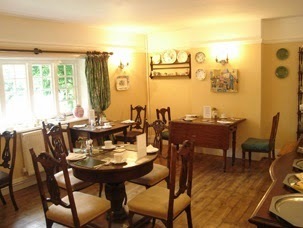 We serve Cream Teas, lunches and snacks throughout the day and are licenced. 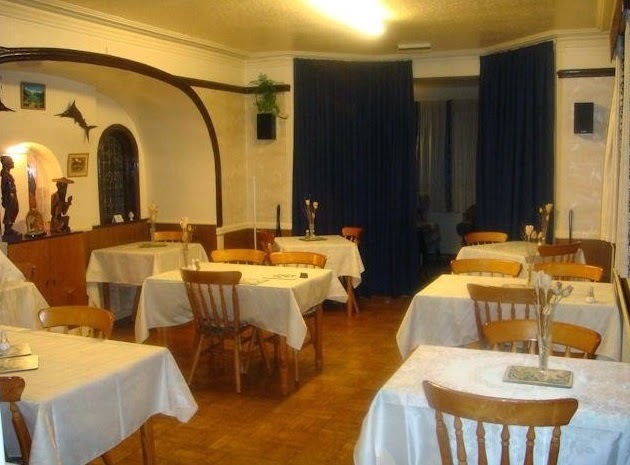 Pubs and restaurants providing evening meals are close by. 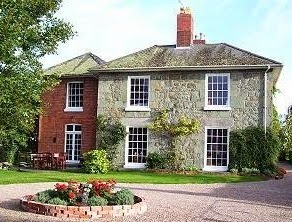 Ideal for exploring, Southern Cross is located in the Otter Valley, an AONB, within the Jurassic coastline. Close by are the seaside towns of Sidmouth, Beer, Budleigh Salterton and Exmouth, with wonderfully diverse beeches. Rising from the Otter valley are open heaths & commons with RSPB reserves and rolling tree-topped hills, providing a wealth of wonderful countryside walking. We are less than 1 hours drive to Dartmoor, Exmoor, Dorset and Cornwall. It’s Just 11 miles to the vibrant Cathedral city of Exeter with the Quayside, Arts, Theatre, Museums & Galleries. Debbie and Sandra offer you a warm welcome to the Revilo bed and breakfast in Whitchurch village. 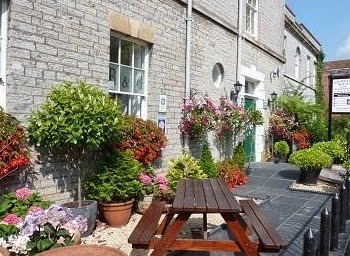 Situated on the outskirts of Bristol overlooking the Dundry hillside, Revilo bed and breakfast is surrounded by many premier attractions of the West Country, making it an ideal touring centre or convenient base for working in Bath or Bristol. We are convenient for Bristol, Bath, Wells, Wales and Bristol Airport which is approximately 9 miles away. Revilo bed and breakfast is easy to find just over 3 miles from Bristol Temple Meads train station on the A37, with plenty of parking in our large private car park. Breakfast is served in our sunny conservatory and we are happy to accommodate special dietary requirements with prior notice. We offer long and short term lets. Business people and contractors welcome. We look forward to seeing you at Revilo Bed and Breakfast. Springfield is a spacious country cottage bed and breakfast set between Colvend village and Sandyhills, close to the Solway coast. The property lies in good sized, mature gardens (open to guests) with views over open countryside to hills to the front and to woodland to the rear. Originally built as two separate cottages Springfield has been extended over the years to provide its current spacious layout. The latest extensive refurbishment provided all bedrooms with their own en-suite or private facilities. Springfield bed and breakfast provides a warm welcome, a relaxing, informal and friendly atmosphere with all the comforts of home.